There are different ways in which you can gain profits from trading. Some people prefer trading currencies while others trade binary options. These two forms may have some similarities, but they are not the same. Binary options are forms of option contracts which have fixed rewards and risks. By choosing binary trading, you have to predict the movement of an underlying asset. 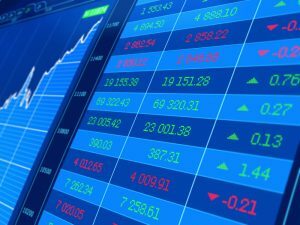 Binary trading allows you to decide if a commodity or stock will move up or down within a given period. If you make the right prediction, you get to see the value of your earnings. In binary trading, you can either give a right or wrong prediction. A correct prediction allows you to get back the money you had invested and a return. Making a wrong prediction makes you lose your entire investment. You must win a lot of bets for you to make money from binary trading. Forex trading, on the other hand, gives you the chance to set profit targets against stop loss orders. You can make profits from forex trading without necessarily winning majority trades. Binary trading has no variability when it comes to the risk or the potential of making profits. It only has two input options which are 1 or 0. Forex trading is riskier than binary trading due to high variability. In this case, you not only determine the movement of assets, but you also have to predict how high or low an asset moves. The potential of making profits or risks, therefore, remain unknown when trading forex. Forex trading does not limit you when it comes to how much profit you can make if you are not utilizing trading tools. The only way to control losses is by using stop loss which closes the trade automatically when you lose a particular amount. Stop loss orders control your profits and losses when trading profits. Another difference is that binary trades operate using specific timelines while forex trading gives you the flexibility of placing trades as per your convenience. Binary traders do not have control when the trade begins and ends. Here, you have to choose the order’s expiry time when the trade closes automatically. The trades in forex trading can last for a couple of months. Binary trading also offers different types of options for you to trade such as high/low, boundary options and touch/no-touch options. Forex also has various order types such as buy/sell, hedge order and stop orders. These two are similar in that you can trade them from online platforms. You also need small capital to trade both forex and binary options. In both markets, the traders speculate the direction of movement of assets and one can earn profits by making a correct prediction. Some people also assume that binary trading is similar to options trading. These are different in that options trading gives you unlimited profitability while binary options have limited profitability. Options trading also involves trading against other traders while binary trading involves trading against brokers. Unlike options trading which is regulated, binary trading is unregulated.